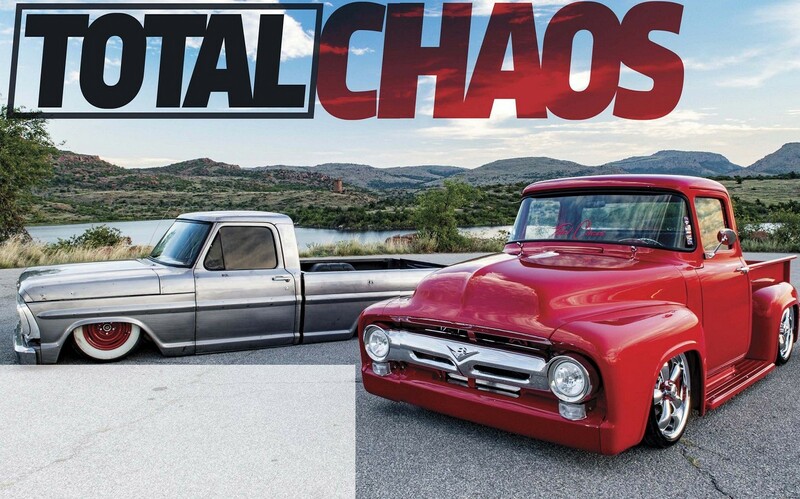 We understand that dropping $50K-$100K on a truck build is simply not feasible for the majority of us, but when we came across two unbelievable Ford trucks from the same area in Oklahoma, it’s only fitting that we show our readers the level of success you can achieve by not being afraid to take a chance on building your own truck. Simply put, these Fords are the final reward for countless hours of hard work and determination invested by two guys with DIY attitudes and endless motivation. When we i rst met Addison Augusta and Jeremy Pendergraft, it was very clear that they not only shared the same passion for custom trucks, but also the desire to be the driving force behind every aspect of their builds. Addison summed up his feelings quite simply by saying, “We’re just two guys who built their own trucks. To me, it seems like it’s rare to i nd people who build their own cars anymore.” While it is true that both of these Fords fall somewhere within the same build budget spectrum, the road Addison and Jeremy took to get there was quite dif erent. 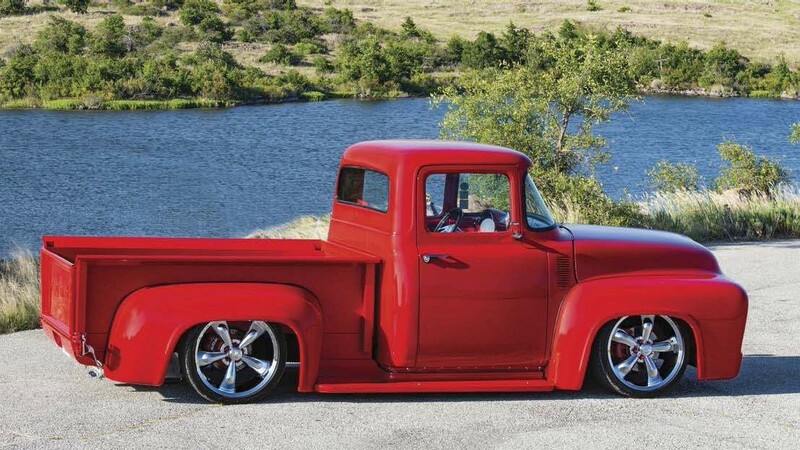 In the end, both managed to build head-turning custom trucks without breaking their bank accounts.